The Wall Street Journal reports that the Obama Administration is considering a proposal to remove Fannie Mae and Freddie Mac owned property from foreclosure sales in order to rent them out. If this program goes into effect it is intended to help stem the decline in home prices in some communities and provide more rental units. Last week Federal Reserve chairman, Ben Bernanke admitted that this proposal is “worth looking at.” It would certainly be controversial because it would place the federal government in the role of landlord and compete with private enterprise in the rental market. On the other hand, advocates claim that the move might help to ease the 3 to 5 year glut of REOs on the market, and rising rental rates could make it possible for the GSEs to cover the hold costs and possibly make a profit. 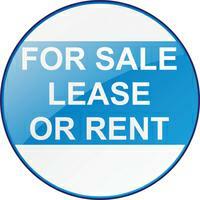 Landlords & Investors: Do you think this will help or hurt your rental property business? Renters: Do you think the government can handle managing hundreds of thousands of properties effectively?